Charlotte Free is a model with an impressive CV to say the least. She recently became one of ASOS' Christmas campaign stars alongside Azealia Banks and Ellie Goulding, She's the current face of Maybelline and she opened Vivienne Westwood's AW11/12 Red Label show. "I've been making electronic music in my head for as long as I can remember," says Charlotte, "I'm not ever going to function in a real job, I've always known that." Keep your eyes (should I say ears?) peeled. The famous designer has made a short film about himself to celebrate fifteen years in the industry. Although put like that it sounds almost self absorbed, the main attitude surrounding the film seems to be about believing in oneself and persevering with ones dreams. "Confidence and belief in yourself and your vision is absolutely paramount. The fashion industry is tough - be prepared to take advice and criticism along the way, but have unwavering belief in your vision,"
The video will be launched online at Net-A-Porter next week. 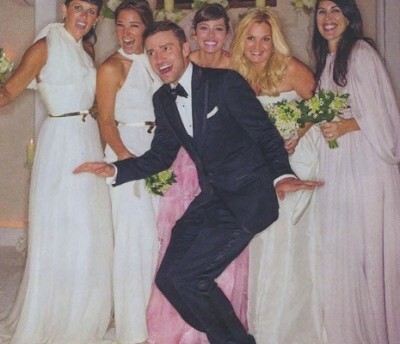 *sob* Justin Timberlake is officially off the market! However, I think I can forgive Jessica Biel for her part to play in this, simply because of the gorgeous gown she wore for the occasion. Apparently the designer and the bride have always been friends and supported each others' work. Can I get an "Aw"? I'm going to leave it there today folks, as I feel three is probably the best number of stories to cover. However I'd be interested to know if you'd prefer 3 stories every week, 3 fortnightly, or 5 fortnightly? Please leave a comment and get back to me, I love hearing your suggestions and criticisms!